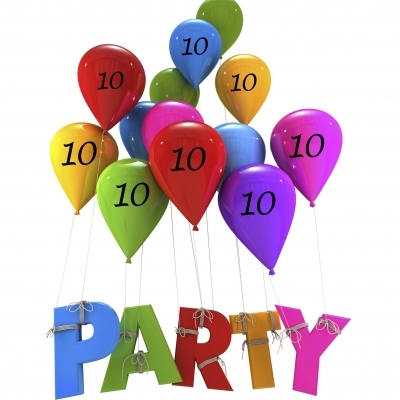 For the ParAgility World Cup the 10th Anniversary, so a reason to give extra attention and a little party! I had make a special book, which I had given to some people on the openingsceremonie even the next day to all competitors of PAWC 2011. A lot of work preparatory ( thanks to Otto Bock for sponsorship of this printed matter). But I was very happy with the Result...a little book with a lot of History 10 years PAWC! 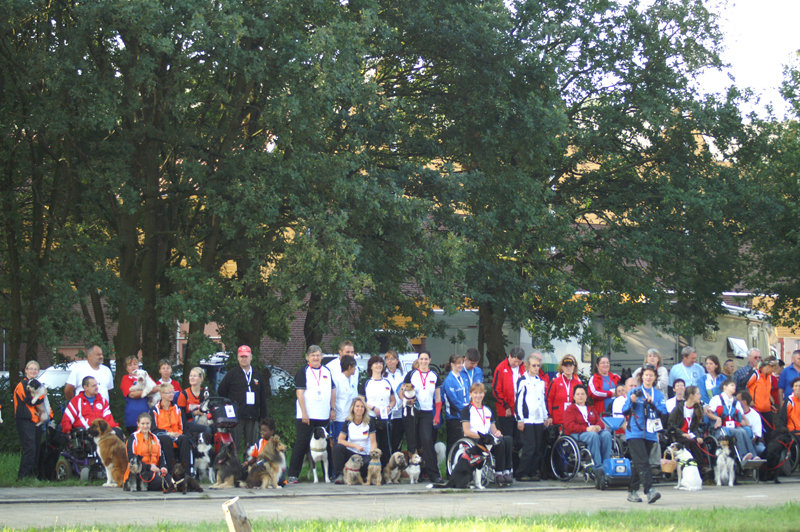 Martin Gaus, someone who had given knowledge of a lot of dogsports in the Neterlands, had spoken a short speech on the openingsceremony. 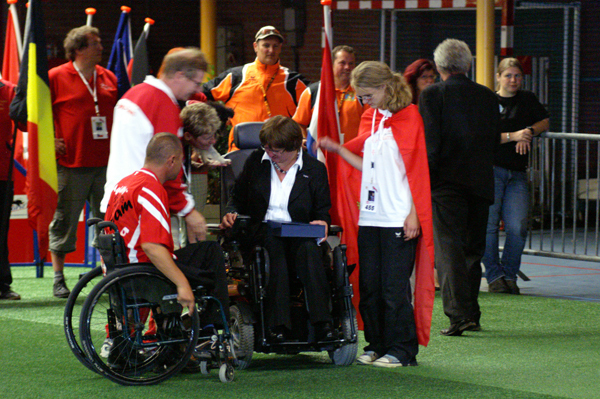 I have started agility in 1996 after I had seen agility on the television-show " Natte Neuzen" who was presented by Martin Gaus. 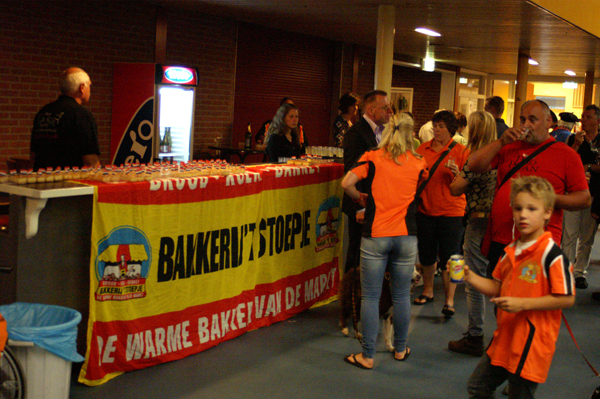 After the openingsceremony we had for all attendees a small piece of cake and a drink of champagne. I was be able to recieved, of the PAWC team of Austria, a wonderfull present, a plate of glass with the pictures of my three dogs, very special....Thanks again!! 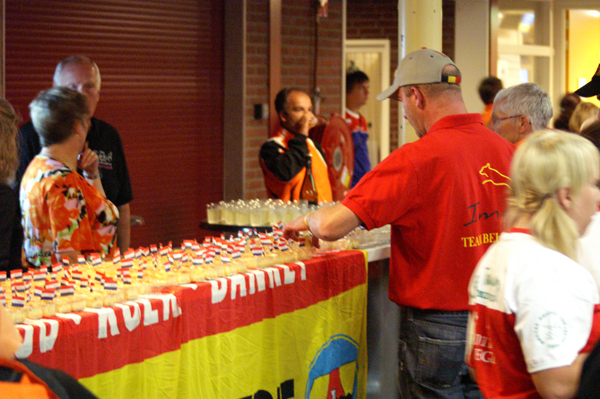 The official part of this Event was closed, we could start the matches. This year I had take part only with Joep, for Quita her sport-career was stoped last Championship because of her age, now 12 years old. Joy, my young dog, wasn't ready, because she was not yet 18 months old. Joep was running on the first course, a Jumping, a disqualification....so for me it was clear not to have a possibility on the podium Totall-Results anymore. On both agility-courses he had misted a contact, so this year not any price for us. 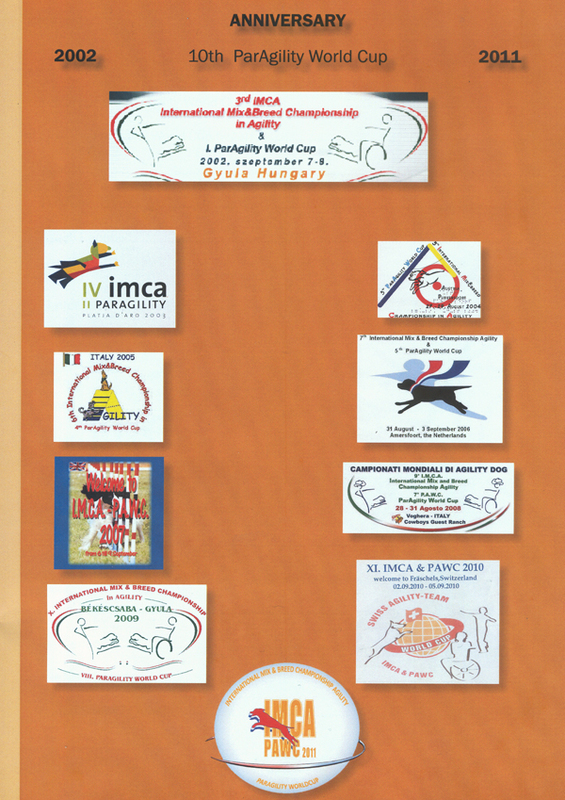 Next year we will drive to Belgium for 13th IMCA & 11th PAWC 2012! 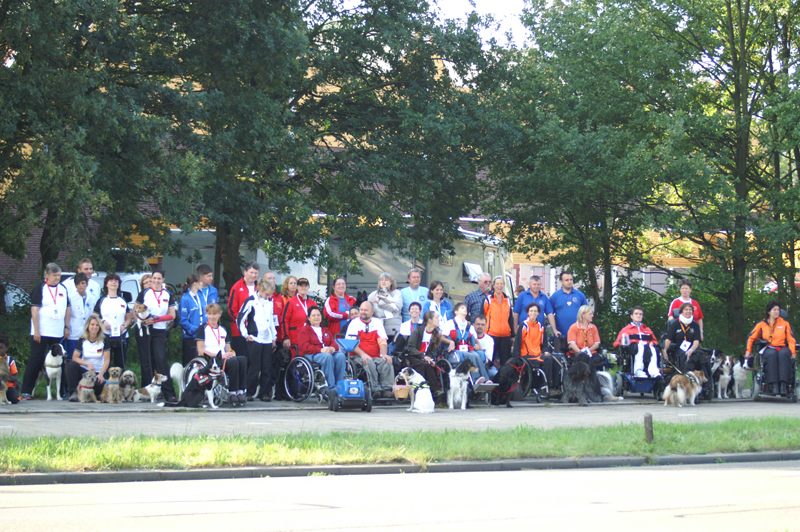 I hope my young dog Yoy will be ready to take part next year!